Daryl Johnson (Worcester Park, United Kingdom) on 26 January 2015 in Architecture. 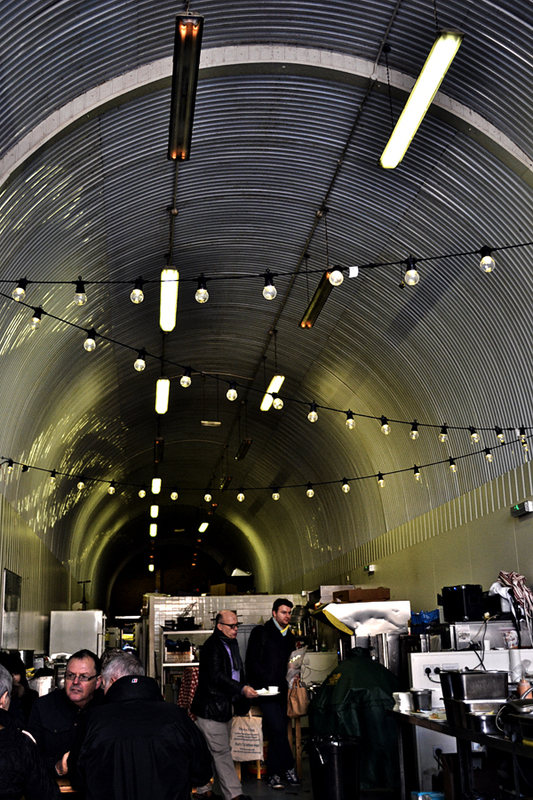 The interior of Monty's Deli at Maltby Street Market. The market is set under railway arches in Bermondsey, near London Bridge station. Quite an impressive perspective Daryl! Not elegant, but practical! Making use of any space available for business! nice utilization of this facility instead of letting it fall into disrepair and disuse. great shot too! It's like a big Quonset hut. Neat shot.